When baseball superstar Babe Ruth toured Boston’s Charles Street Jail in 1925, he famously quipped: “This isn’t a jail, it’s a hotel”—a prophecy that has since come true. 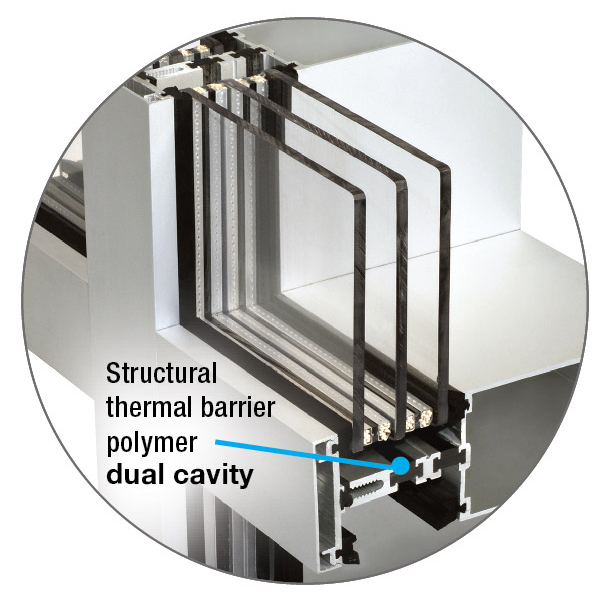 Modern curtain wall systems require structural supports as strong as they are versatile to keep pace with today’s increasingly large free spans, challenging angles, and sophisticated glass-clad aesthetics. While steel curtain wall frames have long met strength criteria, they have only recently provided the necessary design flexibility. In the United States, buildings account for nearly 40 percent of carbon dioxide (CO2) emissions—more than the transportation or industrial sectors—and commercial and residential buildings comprise more than 70 percent of electricity use. In the April 2014 issue of The Construction Specifier, the cover story centered around properly specifying color-changing mica coatings on Port Canaveral’s Exploration Tower. For doorways with high traffic volumes, faster door operation trumps R-value when it comes to preventing energy loss and maintaining a productive environment. High-speed doors also add airflow control, lower maintenance costs, and efficient material-handling benefits. Highly glazed assemblies allow for daylight and views, but poor fenestration can also lead to thermal comfort issues, a reduction in the façade’s overall thermal performance, and condensation problems leading to indoor air quality (IAQ) impacts.